Mace Archer admits that audience reaction from this weekend's performance of "I Got Guns" at Mt. Hood Community College (MHCC) is somewhat dependent on where political allegiances — and interpretation of the Second Amendment — lie. That's not to say, however, that you have to believe a certain way about America's prevailing gun culture to enjoy the production. 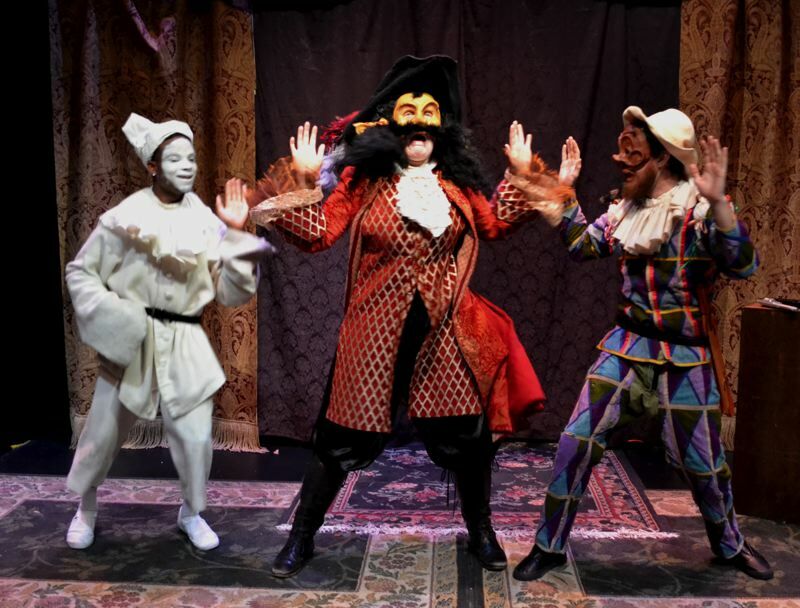 "If you're a card-carrying member of the NRA, those folks probably won't laugh as much at 'I Got Guns,'" says Archer, artistic director of the MHCC Theatre Department. 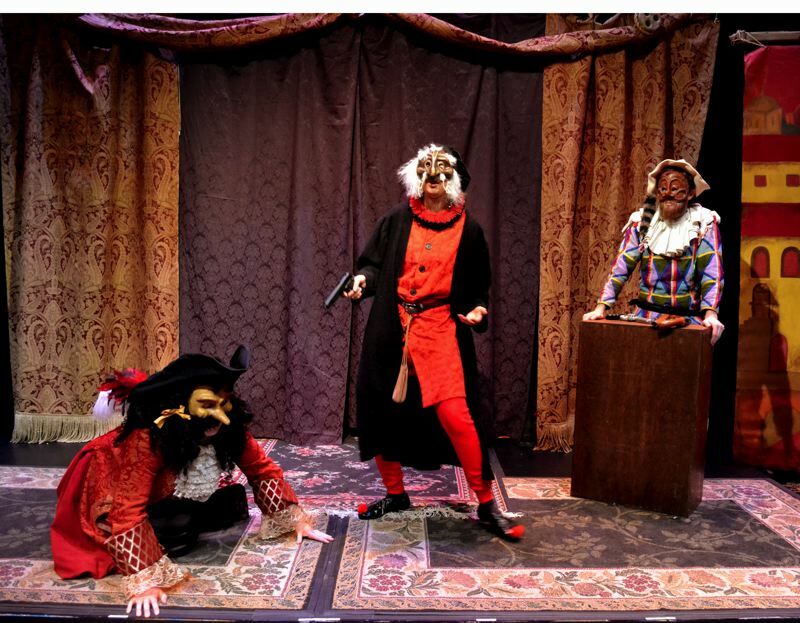 "But it's satire … There's so much over the top (material) in this play — a lot of tomfoolery and lampoonery." Archer so enjoyed the performance of "I Got Guns" by the Linn-Benton Community College Performing Arts Department that he invited the Albany-based troupe to perform it, for one night only, at the MHCC Studio Theatre. Showtime is 7:30 p.m. Saturday, Jan. 19, with admission by donation only. Selected as a regional finalist for the Kennedy Center's American College Theatre Festival, "I Got Guns" is described as "a comedic treatment of America's ongoing love affair with firearms." 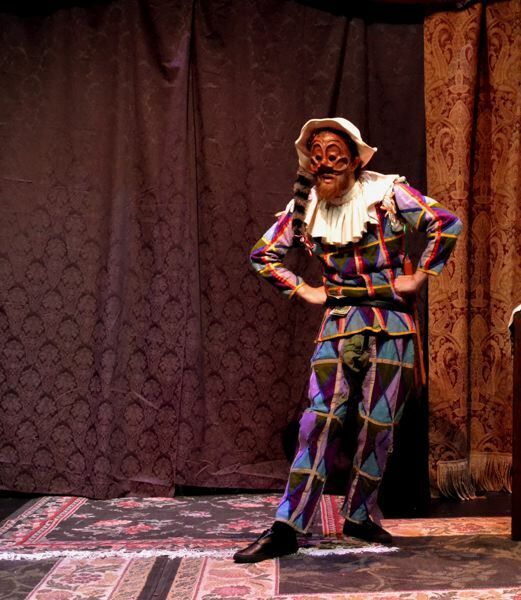 Using the style of commedia dell'arte, a comedic style from the Italian Renaissance, Linn-Benton's Performing Arts Director Dan Stone created a social satire called both "farcical and poignant." "It's based on an improvisational style from the Renaissance," Archer explains. "A lot of clowning and farcical elements. It's unique to see, and they do it very well. You couple it with satire, contemporary American politics and gun culture ... It's one of the ways to deal with some of the hot-button political issues of the day in a comedic way. For the audience, it's often a good way to bring up a discussion." Six actors deliver the story of El Capitan and his comedic sidekick, Harlequino. "El Capitan sells guns — and lots of 'em," according to a description of the play from Stone. "The more he sells the better things are ... for him. As his idealistic daughter begins to detest the family business, harmony in the household becomes impossible as El Capitan looks to flood the market with guns and his daughter tries to make the world a more peaceful place, all in the name of love." Archer first saw the performance in November and immediately felt the timely premise was something his students could get behind and enjoy. "There's so much gun violence on college campuses. It's on our minds a lot, so (Stone) wanted to create a piece to get students talking about that, with something that's not preaching but entertaining," Archer says. Given the production's premise of featuring a greedy profiteer and young idealists who oppose his goals, Archer says he wouldn't necessarily call "I Got Guns" a completely fair-and-balanced presentation. "There's no pretense of presenting two sides, but (rather) sort of highlighting the absurdity of the cultural norms that we've created around guns," he says. Despite its potentially sensitive subject matter, Archer says the production was well-received at Linn-Benton, which serves a fairly rural population between Salem and Eugene. "They thought people would be bothered, as the area around there is pretty conservative, but they didn't have much blowback," he says, adding that a song in the production, "Not in My Town," hits a universal note of disgruntlement. "It's somewhat on both sides of the fence. It doesn't matter what your view is, (there's always) complaining about what's going on."